Turbo Booking is proud to work with IDestroy. It’s no secret that the three girls love to play live and throw every last drop of energy into doing so. In their short time together they have nearly 200 gigs under their belt. From big stages such as Bristol Pride and Rebellion Festival to acoustic sessions for BBC introducing, Sofar Sounds and Glastonbury Festival, proving there’s not a single thing that can faze them. Their 2019 Europe tour guarantees to be a hell of a lot of fun and most importantly, loud! Agrotóxico from Brasil will tour Europe in July and August and play some great festivals like the Obscene Extreme, the Ieperfest, the Rebellion and the Refuse festival. I’m also looking forward to Turbo Booking’s last summer tour in 2018- Defiance from Portland will tour in August! Finally the Restarts will tour Europe again! Their tour through Germany, Netherlands, Switzerland, Italy, Slovenia and Austria starts today. The Dizzy Brains will come over soon! The exceptional garage band from Madagascar will tour through Germany and the Netherlands – don’t miss them! The Subhumans tour starts tomorrow! The punk rock legends will tour through Germany, Switzerland, the Netherlands, Belgium and France – all booked by Turbo Booking. The Ghost Wolves tour through Germany, France and Spain is going great. They will be back in June/July for a some festivals and club shows! Next month Detroit 442 will tour Germany, Czech Republic, Austria and Switzerland, followed by the legendary Subhumans who will play festivals and clubs shows in Germany, the Netherlands, Belgium, Switzerland, Austria and France. After their tour in March the Subhumans will be back at the end of June! In May The Dizzy Brains from Madagascar will tour the first time in Germany and the Netherlands. They will come back for festivals in summer and more club shows in September. You don’t want to miss them! The Restarts will finally be back for a tour and they bring their friends Krass Kepala from Indonesia for 15 shows and festivals in Germany, the Netherlands, Austria, Switzerland, Italy and Slovenia! In Summer we are looking forward to the Subhumans tour part II in 2018 and to finally see Sects Tape from Belgium and Pete Bentham and the Dinner Ladies from England again, followed by a lengthy tour from our friends Agrotóxico from Brasil in July/August and also Defiance from Portland, USA (yes, really!) for a few days around the Pod Parou festival in Czech Republic. The amazing IDEAL tribute band Schöne Frau mit Geld and also my friends F*cking Angry from Bonn will tour as much as they can in 2018 and everybody is looking forward to that as well! This year started really bad. Jonny, the very talented P.R.O.B.L.E.M.S. singer and former actor and vegan restaurant owner and above all the nicest guy you can imagine, died yesterday. He has certainly experienced a lot in his 33 years, but he died far too young. We will all miss you, Jonny. “It is with heavy hearts and saddened minds that we announce the passing of our dear friend and singer Jonny Jewels, AKA Jon Paul Steuer. 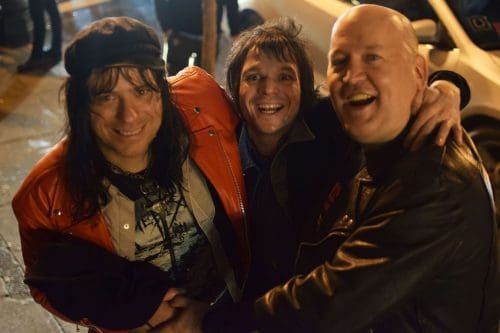 The addition of Jonny to our dysfunctional band family was one of the best choices that we have ever made, and he brought a much needed sense of fun and lightheartedness to everything we did. He was only with us for a little more than a year, but we managed to cram a lifetime of great experiences into his tenure as our singer: dozens shows at home in Portland and across several states, an amazing European tour, and our best full-length release yet. We’ve lost our singer, but far, far more than that we’ve lost a friend. Rest in peace, Jonny…we love you. Haters and Lovers, check out the fantastic new Soul Square video “Well Seasoned”! They are available for festivals and club shows in 2018! On Sunday night (November 26th) the German TV channel WDR will show the concert of the Beatsteaks and Decibelles in the famous show Rockpalast! The concert took place on November 2nd, 2017 in the E-Werk in Cologne. The 2nd Ghost Wolves tour in 2017 was excellent! 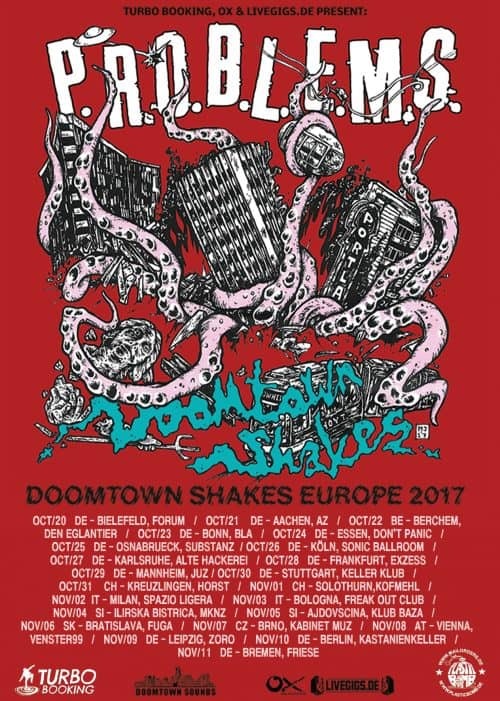 Now Europe will get P.R.O.B.L.E.M.S.!!!!! The Decibelles (FR) will open for the Beatsteaks (!) for 5 shows in November! With their second full length album, TEXA$ PLATINUM (Hound Gawd Records) the Ghost Wolves did 23 Europe shows in 23 days in spring and it was glorious. Now they will be opening a lengthy tour of Europe, The U.K., Ireland and Scandinavia for the Nashville based badasses All Them Witches. Before that they will play 6 shows in Bern, Stuttgart, Cologne, Dortmund, Lübeck and Leipzig, starting on Monday, September 11th! The Don’t tour starts tomorrow in Kiel! 24 shows in 24 days, in Germany, Netherlands, France and Switzerland. Featuring Jenny Don’t with members of the Wipers, Poison Idea, Pierced Arrows and the Problems! Sorry! The tour van booking request form on https://turbo-booking.com/tour-van/ doesn’t work correctly at the moment. I’m working on the solution right now. Meanwhile please write an email to mary(AT)turbo-booking(DOT)de for a tour van booking request. I’m really sorry if you tried already and didn’t get a reply from me! 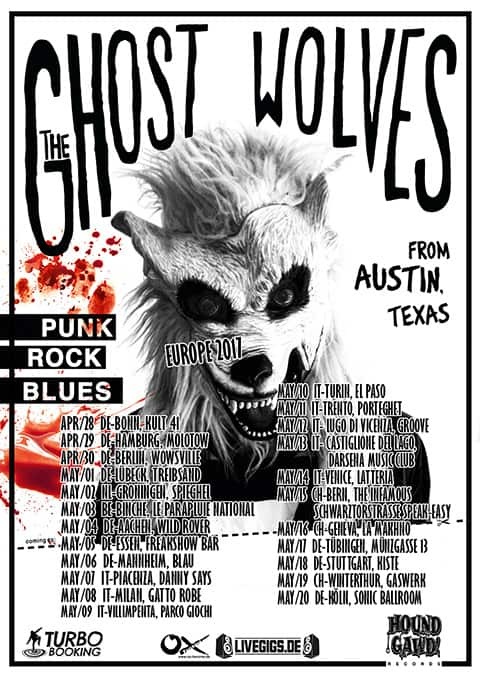 The Ghost Wolves from Austin, Texas, will tour in Germany, the Netherlands, Belgium, Switzerland and Italy – starting next week in Bonn! 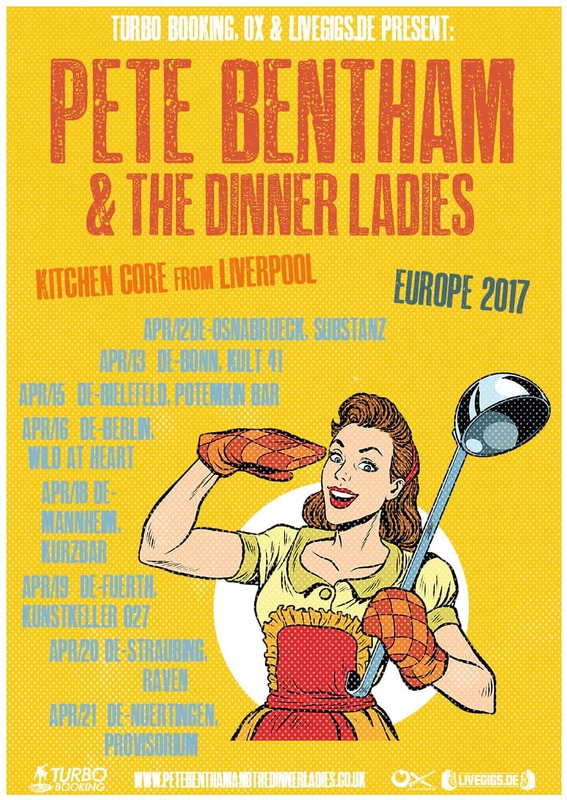 While the Detroit 442 tour is going great, I’m looking forward to the Pete Bentham & The Dinner Ladies tour in April!